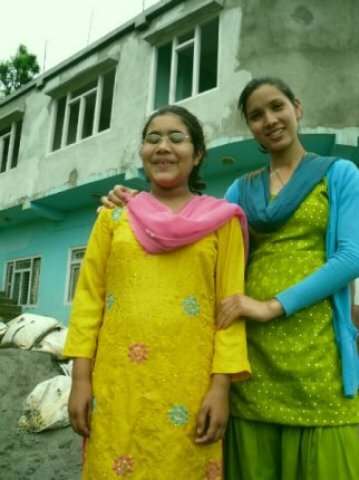 Photos of Ganga Ghimire, now 15, who we took to have double cataracts to be operated on 2 years ago and having not seen much for the last 13 years, sponsored by Jenny and Graham from UK, is now at the Arjun Boarding school, but because she still cannot see much it is holding her back. The magnifiers supplied by Sam last year is helping her. 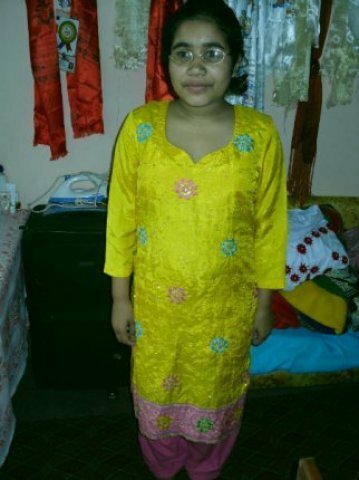 She is healthy, and smart and can learn fast and has good English now and now she can read, and not have to rely on teacher reading it all to her. 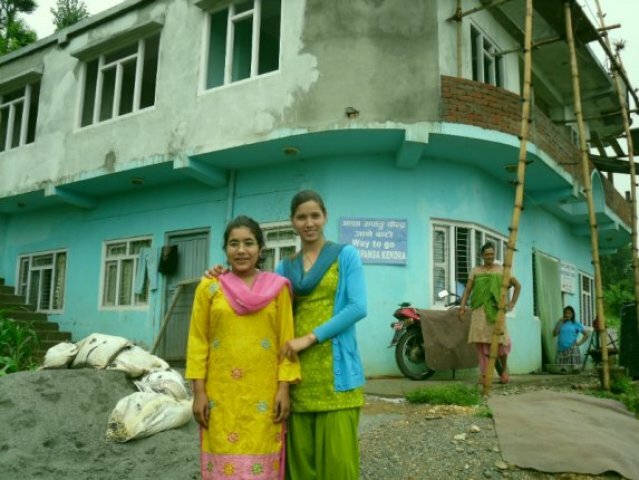 Photos show Ganga Ghimire on the left with Radhika, Hope’s manager’s sister, who is a teacher and helper. Also note the progress of the second floor in the background.